MSI's RTX 2060 Ready to take you to the next levelThe much anticipated return of MSI’s iconic dual fan GAMING series. Combining a mix of black and gunmetal grey with a classy brushed metal back plate, this combination of power and aesthetics provides you with premium design and magnificent smooth RGB light effects on the outside. Outfitted with MSI’s Twin FROZR 7 Thermal Design, watch as temperatures stay down and performance goes up. Compatible with Mystic Light Software synchronize and display your personality on your whole system. Enjoy the future of gaming with NVIDIA G-SYNC and see the difference in frame rate speed and smoothness. A Stable and Silent Gaming Experience The 7th generation of the famous MSI TWIN FROZR Thermal Design brings the most advanced technology for ultimate cooling performance. It features the new TORX FAN 3.0 combined with ground-breaking aerodynamic feats. This means stable performance and a silent experience are guaranteed thanks to low temperatures. The MSI TORX fan pushes the limits of thermal performance yet further than before. The new trims clearly visible on the traditional fan blade create a focused airflow which in turn is pushed down by the dispersion fan blades for increased static pressure. Intelligent Fans Keep Audio Levels Down First introduced in 2008 by MSI, ZERO FROZR technology stops the fans completely when temperatures are relatively low, eliminating all fan noise when no cooling is needed. When the heat is on during gaming, the fans will automatically start spinning again to keep your powerhouse cool. Control to Showcase your style With the latest version of Mystic Light Software, controlling all your RGB-lit components is easy. The software detects all compatible products from both MSI and other brands and lists them for you to control individually or linked together. With the convenience of Mystic Light Sync, you can control RGB LED solutions from other brands, such as CPU coolers, keyboards and mice or RGB system fans. Have a more Fulfilling Experience With G-SYNC The smoothest, fastest and most exciting gaming experience ever by eliminating screen tearing, display stutter and input lag. Ultra-high resolution (UHD) delivers 4x the resolution of 1080p content, enabling much sharper and crisper images with delicate details during gaming. While High Dynamic Range (HDR) enhances your gaming world with higher contrast and brighter colours than you've ever seen before. Bringing Realistic VR Experiences Alive To experience and enjoy the impressive world of Virtual Reality, high-performance hardware is required. MSI, world leading brand in high-end gaming and eSports, provides the right advice to make sure your system is VR Ready. Integrating the very best of cutting edge technologies in recommended MSI VR gaming hardware for smooth performance. Together with our VR partners, MSI brings gamers an extremely realistic VR experience where games come alive. Gain a performance boost to your system MSI Afterburner is the world's most recognized and widely used graphics card Overclocking software. It gives you full control of your graphics card and enables you to monitor your system’s key metrics in real-time. The latest version of MSI Afterburner features OC Scanner for RTX 20 series graphics cards. OC Scanner is an automated function that will find the highest stable overclock settings for your card. Giving you a free performance boost for a smooth in-game experience thanks to higher FPS. Control to Showcase your style Eventually Dragon Centre will be the only MSI software you need to install for full functionality of your MSI Desktop, Graphics Card, Motherboard or even Gaming Gear. Thanks to a modular concept, the application will automatically detect new MSI hardware once added. Based on the hardware in your system it will offer the relevant software drivers for your specific setup. Enjoy Both Mobile And Desktop Gaming Developed under an exclusive partnership with BlueStacks, the MSI APP Player brings seamless gaming experience between mobile games and PC platform, and leverages customized features as specific keyboard lighting and better graphics with multi-task works. MSI GeForce RTX 2060 GAMING Z 6GB GDDR6 Ray-Tracing Graphics Card, 1920 Core, 1365MHz GPU, 1830MHz Boost is rated 4.0 out of 5 by 3. Rated 2 out of 5 by bitdivision from Dissapointingly noisy I bought this for a quiet mini-itx linux build. Unfortunately, the fans are very noisy, they have a ticking sound. Not sure if this is limited to my card or an issue with the model. Rated 5 out of 5 by MagiiGaming from Great product I bought this because I used to have msi products which I was never disappointed in so far. 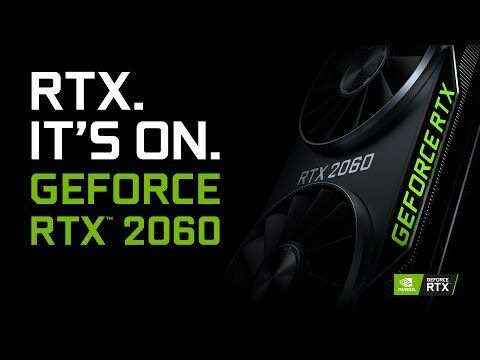 So since I wanted to improve my games and streaming quality I went for the geforce rtx 2060 which was a beautiful choice. It won't drop under 60 fps so far and peaks over 300 fps. Any time again.